I told you I couldn't just make one of these things. Or even, apparently, just two or three of them. Well, I had hangers there, asking to be covered, what's a girl to do? Last time I showed you the first batch of hangers covers I made, following patterns I'd found in books and magazines. While I was making up those, the old brain was ticking over and thinking of other covering options for these hangers. Being relatively quick and easy little things to whip up, I thought I'd give those thoughts a test drive. The first idea I had was for a simple version of the Japanese pattern, with less decoration and the little bit of loopy crochet underneath. I quite like the way those turned out. The little flower I used was from my Mix and Match Flower Tutorial, you can find the Little Flower here. (The only difference is I only made 5dc's into the loop rather than 6, so I got 5 petals.) The bit underneath was supposed to look like a little lacy trim and I think it sort of does, if you squint at it a bit! The other plan was for some simple stripy hangers. My original idea was to have stripes of many colours and to be honest, I think that would have been better maybe? But when it came to it, I just went with two colours and I think that's ok. Nothing wrong with it, but they just don't jump out at me. I wanted just a simple something to decorate these too and so I added hearts, because hearts improve everything don't they? I think they do help, a bit. As I say, I think they're ok. But then, maybe I'm just starting to suffer from hanger fatigue? Time to move on to the next fad I think! I know a few of you have mentioned before that you'd be interested in testing patterns for me. If you are still interested and aren't regretting that rash offer, then keep your eyes peeled in the 'Free Pattern Testers' group on Ravelry. I'll be opening the test thread there tomorrow. 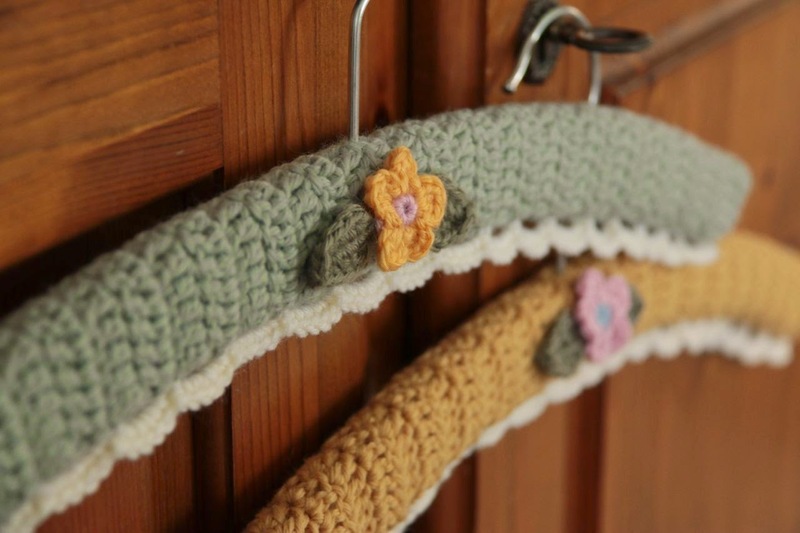 ☞ Crochet Corner is coming! A while ago I mentioned that I had some plans brewing for a new site, called Crochet Corner. A place to find answers to all your crochet questions. Well, it's almost here. 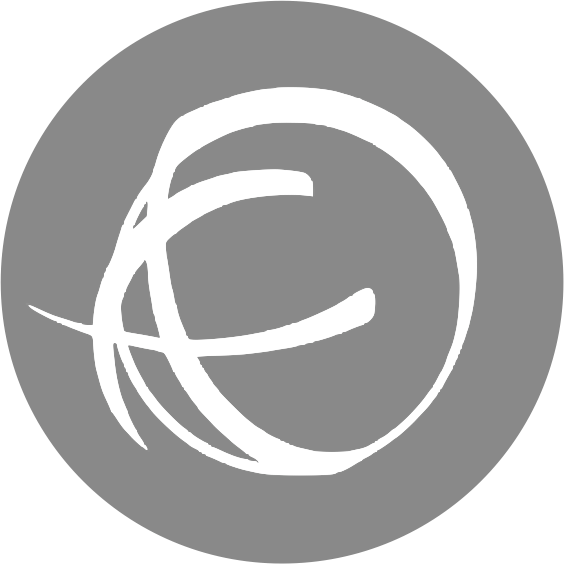 It's still in it's infancy and there's so much I still want to do, but I think I'm ready to open the doors and invite you in to have a look around. Hopefully, as soon as next week, all being well. More lovely hanger covers! You have been busy! The Crochet Corner sounds so exciting and you must be enjoying yourself just preparing it - as we are to discover it! Well done for taking this initiative. I know that I shall be an enthusiastic follower! Hey cherry chops! Such pretty hangers - I've not made any for ages but you've gone and set me off wanting to now. these are sooo beautiful! I especially love those with the tiny flowers... too cute! 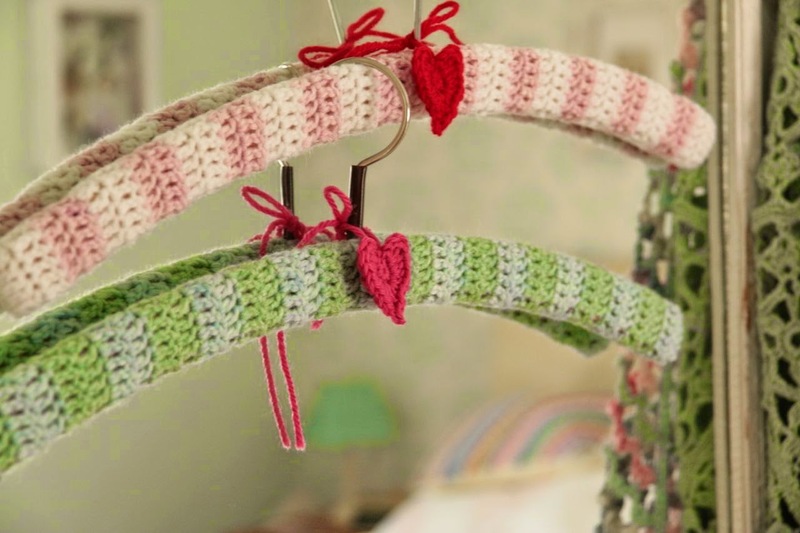 The hangers are lovely and will make you smile when you open the wardrobe! More lovely hangers, I may have to follow suit - it might make my daughters want to hang up their clothes! Have a lovely weekend. 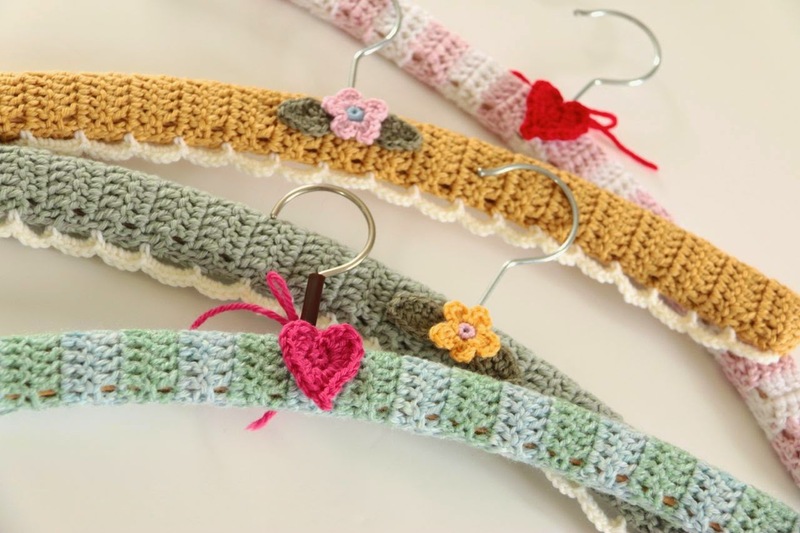 I love crocheted hangers! I made some a few years ago and loved them, and a couple of weeks ago I came across a stash of hangers that I had left over. I really wanted to make more but My WIP's are many at the moment, so i'll just drool over yours! So pretty... especially the gorgeous green and gold coloured ones with their lacy trim. I now want my wardrobe to look as pretty inside!